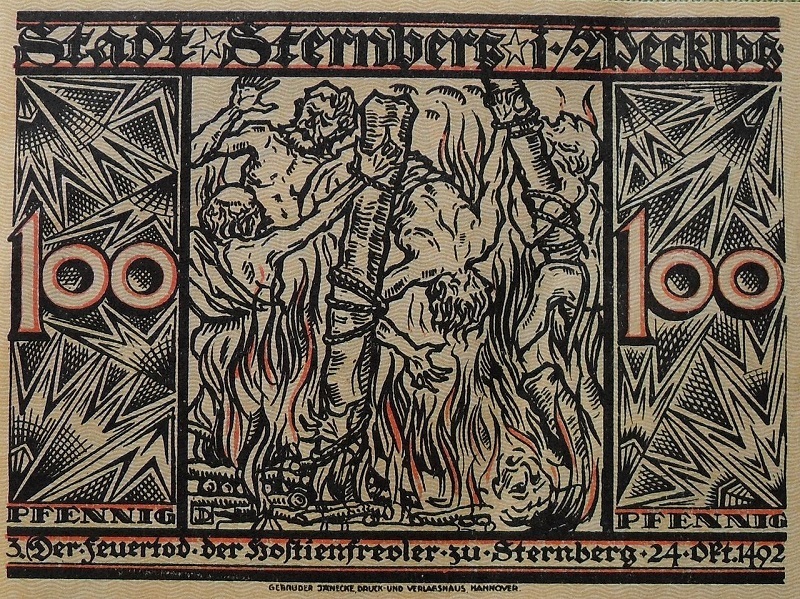 On this date in 1492, 27 Mecklenburg Jews were burned together outside the gates of the city of Sternberg. 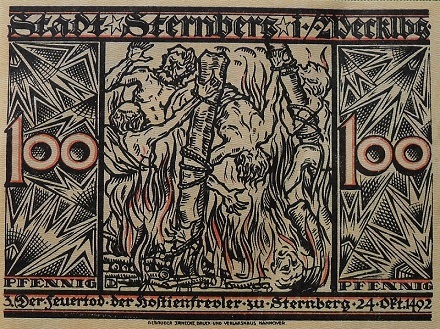 These unfortunate victims of the Sternberger Hostienschänderprozess we have already met via their Catholic intercessor, Father Peter Dane. 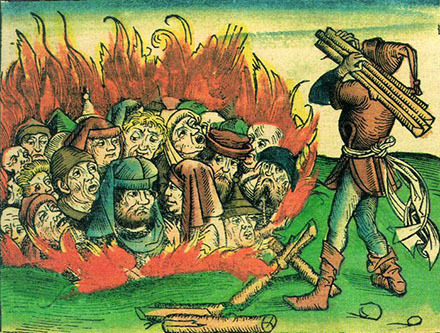 Although Father Dane got away for the moment — his punishment would arrive five months hence — the scandal consisted of Dane’s alleged provision of his parish’s consecrated Host to Mecklenburg’s impious Hebrews for their profanation in occult Semitic liturgies. Defiling the Eucharist was a recurrent substratum of the old blood libel canard: what blood more dear than the literal flesh of Christ? Sternberg’s Church of St. Mary and St. Nicholas, which prospered in the pilgrimage days, has a still-extant chapel of the holy blood built in honor of (and thanks to the donatives earned by) the outraged Eucharist. Today the historic chapel holds a contemporary sculpture titled “Stigma” — a reminder of the dark day in 1492 the chapel once celebrated.